I was entertained recently by an article in the New York Times called Kissing Your Socks Goodbye about home organization advice from a Japanese woman named Marie Kondo, who refers to herself as a "tidying consultant." 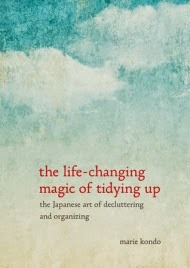 As her book title states, tidying up is life-changing magic. 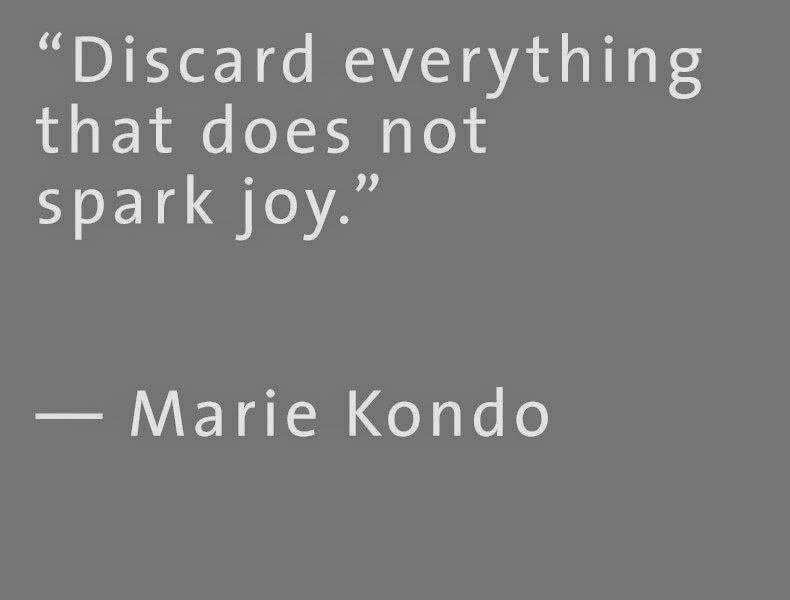 Kondo advises to discard EVERYTHING that doesn't bring us joy. Just throw them all away! But to discard EVERYTHING that doesn't bring us joy? Holy moly, I think I have to think about this.